Today is the first day of March. The word 'March' comes from the Roman 'Martius', and this was originally the first month of the Roman calendar. 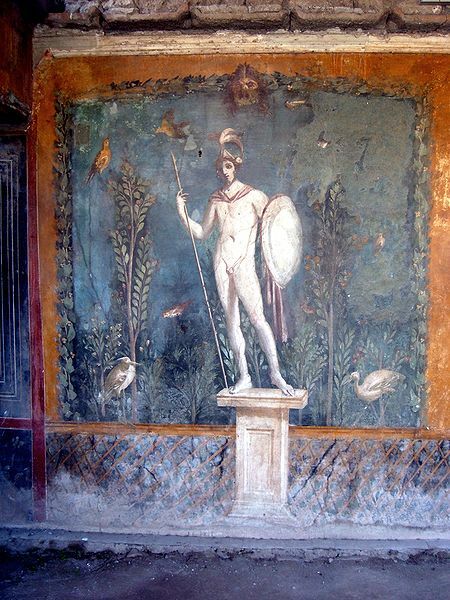 Due to it's often violent weather, the month was named after Mars who was the god of war (*and also an agricultural guardian - a combination characteristic of early Rome). All the festivals that celebrated the Roman God Mars were held during this month. In Rome, where the climate is Mediterranean, March was also believed to be the first month of spring, and a logical point for the beginning of the year. So, March use to be the beginning of our calendar year. We changed to the 'New Style' or 'Gregorian calendar in 1752, and it has been only since then that we have started the calendar year on the 1st January. March starts on the same day of the week as November every year and February in common years only. March ends on the same day of the week as June every year. In leap years, March starts on the same day as September and December of the previous year. In common years, March starts on the same day as June of the previous year. The Anglo-Saxons called this month Hlyd monath which means Stormy month, or Hraed monath which means Rugged month. All through Lent the traditional games that were played during this time were marbles and skipping. The games were stopped on the stroke of twelve noon on Good Friday, which in some places was called Marble Day or Long Rope Day. The game of marbles has been played for hundreds of years and some historians say that it might have been started by rolling eggs. In the past, round stones, hazelnuts, round balls of baked clay and even cherry stones have been used.